A team of scientists from the University of Sheffield have developed a brand new technique with the intention of helping couples struggling to conceive – the details of which have been released today. As explained on the website of the SPERM Research Project, up to 50% of infertility issues experienced by heterosexual couples are as a result of male infertility. A common cause for this infertility is that many of the sperm lack the ability to swim strongly, known as asthenozoospermia. Or in other words, low sperm mobility. Without sufficient reserves of energy the sperm cannot swim far enough or strongly enough to reach the egg in order to fertilize it. Once low sperm mobility has been identified as the problem, the usual method is to inject a single sperm into an egg, during a procedure known as Intra-cytoplasmic Sperm Injection (ICSI), an expensive procedure. The intention of this research is that by identifying the differences between sperm with high and low mobility, it is hoped that ICSI can be performed less often, or even avoided altogether. The study, ‘H Magnetic Resonance Spectroscopy of live human sperm’, has just been published in the journal Molecular Human Reproduction. The breakthrough which sets this technique apart from other methods of examining human sperm is that it does not destroy the sperm whilst studying its mobility. Current methods, including testing the sperm’s DNA and immunohistochemistry destroy the sperm whilst testing. Whilst still useful diagnostic tests, this does mean that the practicality of these tests is somewhat limited for use in fertility treatment as whilst the sperm may be identified as a viable sample, it cannot be used afterwards. Instead, this new technique utilizes Magnetic Resonance Spectroscopy (MRS) to examine live sperm. This means that the sperm are not damaged, so that once a sperm has been identified as having a high level of mobility, it could potentially be used for IVF treatment. "The technique of Magnetic Resonance Spectroscopy has been previously used to examine the molecular composition of many cells and tissues in other diseases such as cancer, but it has never previously been used to examine live sperm. As such, these results are a world first." 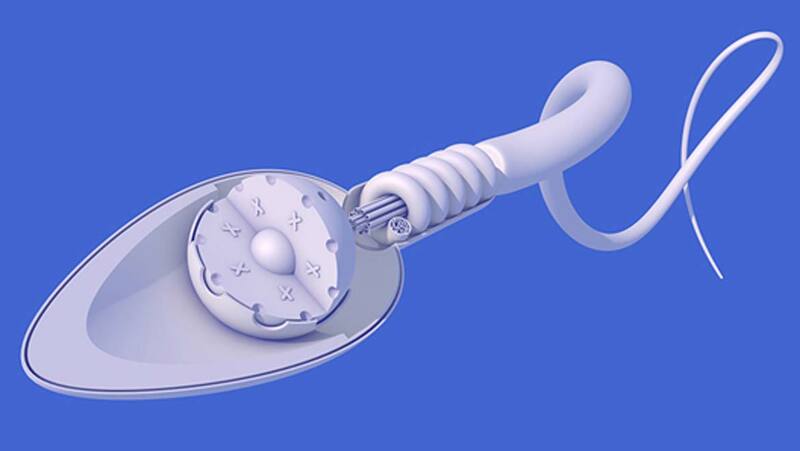 After ‘washing’ the sperm using a centrifuge, in order to remove any traces of other molecules, the samples were examined using the Magnetic Resonance Spectrometer. The press release from the University of Sheffield suggested that the presence of molecules including Choline, Glycerophospholine, Lipids and Lactate was found to be significantly different in the samples of ‘good’ and ‘poor’ sperm. “The fact we can detect differences in molecular composition between samples of 'good' and 'poor' sperm is really significant because it opens up the opportunity for us to develop a novel biomarker to help with diagnosis. Or it might one day allow us to design specific therapies for men with poor sperm that might help give them a boost." Future studies will be necessary in order to determine whether the magnetic field or radio frequencies transmitted during MRS scanning have any detrimental effect on the sperm, although this is not envisaged to be a problem. A study using a larger sample size is also definitely needed, but this study certainly paves the way for some exciting developments for male infertility. Will Our Electronics Be 100% Recycled In The Future?